This topic contains 18 replies, has 2 voices, and was last updated by Paul Lancaster 2 years, 9 months ago. I just purchased your plugin and I can’t activate it. The website is on a GoDaddy server. Let me know how to contact you privately so we can try to manual setup the plugin. Do the author’s page views start registering from today or is there a way to look at previous months? How long should it take to populate? Hi am having the same issue. I am wondering, If you manually activate now, will the plugin be able to automatically check in the future, assuming the IP can reach your licensing server? the reason i as is because i would like to begin using google analytics now but plan to utilize auto payment from paypal in the future. I am wondering, If you manually activate now, will the plugin be able to automatically check in the future, assuming the IP can reach your licensing server? Would you please be able to manually activate my license? I submitted my credentials. I am still unable to activate. Old you please manually activate at your earliest convenience? I’m awfully afraid, it looks like I’m not getting email notifications for private replies, sorry! Thanks for the credentials, but I’m still missing the website. 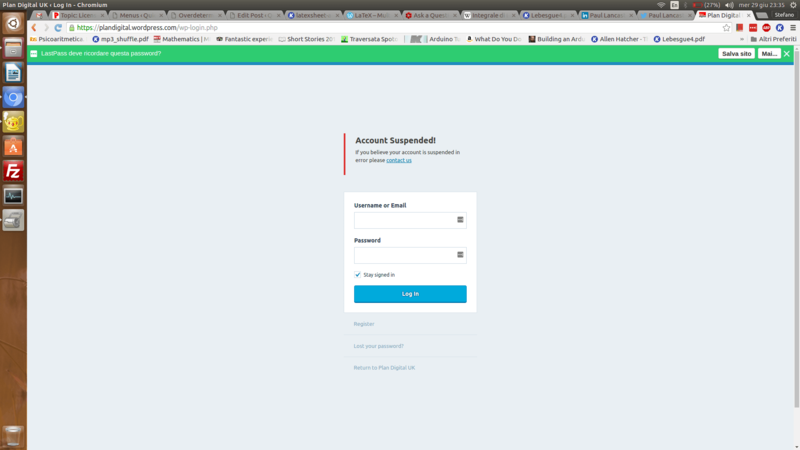 I guessed it was plaindigital.com, but when I enter the credentials it says my account is suspended (screenshot). I apologize once more for the delay. No problem at all. Thanks for the help! The topic ‘License activation fails with timeout’ is closed to new replies.